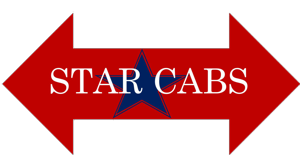 Whether you are looking for airport transportation or general taxi services, Star Cabs is the right choice for you. Our services are tailored to meet your needs. We can take you anywhere in Metairie and the surrounding area. Rely us to get a clean, safe and punctual cab service. We are here whenever you need to make it to your destination quickly. Call us at (504) 345-1353 for fast and reliable taxi services. Call Us at (504) 345-1353 to Book a Cab!